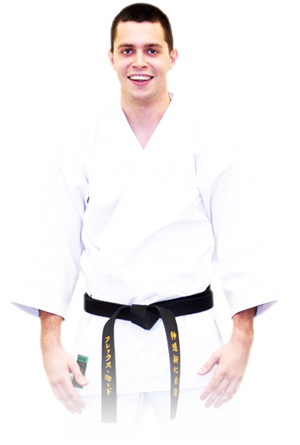 I started training in Seido Karate when I was 11, and trained for approximately 2 years before moving out of the area. When I was 14 I began playing soccer and rugby for my high school, which continued until I was 18 and relocated from the UK to Sarasota. I played a little rugby for Sarasota county until the team disbanded and I had to find another high energy pastime. I decided to enroll at West Coast Martial Arts later that year. I began training at West Coast in late September 2006 and have been training diligently ever since. I hold a 1st Degree Black Belt in both Shintoyoshinkai Combat Jiu Jitsu and Go Dai Henka Jiu Jitsu Ryu. I have been training in Boxing, Muay Thai, and Savate Kickboxing for the duration of my time here. I am a member of the Kuntao program and have been for the past 3 years. Since joining the academy, my confidence, social skills, discipline, and fitness levels have all improved; every time I train I learn something new.